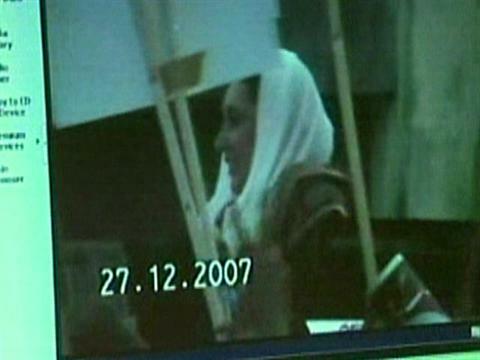 Pakistan's government has released new video of the attack that killed Benazir Bhutto. Officials claim that she died from a skull fracture, not from gunfire or shrapnel. Sheila MacVicar reports. Michael Jackson's doctor, Conrad Murray, pleaded not guilty to the charge of involuntary manslaughter, telling the judge "I am an innocent man." As Bill Whitaker reports, Murray's attorneys say he is ready for trial. Lebanon's Sunni Muslims are outraged that the Iranian-backed Shiite group Hezbollah is taking over their country's government. As Elizabeth Palmer reports, some fear Hezbollah can now, literally, get away with murder. CBS News' Bob Schieffer, John Dickerson and Anthony Mason speak to Katie Couric about what to expect in President Obama's upcoming State of the Union address. President Obama will be the fifth consecutive Chief Executive to address a Congress in which the other party controls at least one House. Jeff Greenfield takes a look back on past State of the Union addresses. Democrats and Republicans are setting aside their differences to sit side-by-side at the State of the Union address. Nancy Cordes reports and who is pairing up and why. President Obama will focus on the economy and jobs in his upcoming State of the Union address. Chip Reid reports on GOP and WH reactions before Mr. Obama's speech.